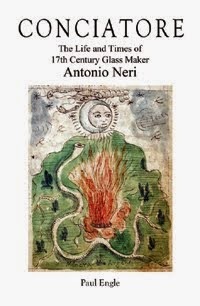 Antonio Neri's book, L'Arte Vetraria, is devoted to making glass from raw ingredients found in nature. Many of his finished creations were intended to also resemble the natural world. A number of colors are meant to mimic the appearance of gems and minerals, others are named after plants and animals. Some are easily recognized today, even if they are not as familiar as they were in the seventeenth century. One of his recipes will make "a wonderful pimpernel green," while others evoke peach and orange blossoms. An entire section of the book is focused on paints that are named after the flowers from which the colors are extracted. Many of these plants have remained common: poppies, irises, violets, lilies, carnations and red roses. Others are less so: the mallow, pomegranate, broom and borage flowers. In addition to flora, the fauna make a few notable appearances in Neri's book. In chapter 16, in the preparation of iron oxide pigments, he advises that after fifteen days in the furnace, the product will be finished when it takes on the purple color of the peacock. In chapter 73 he gives a method for "tinting rock crystal the color of a viper" and chapter 121 is the method for a glass which is "red like blood." Named in several chapters is a shade of 'celestial blue,' which Neri likens to the color of the "gazzera marina." Common bird names pose a special challenge for translation in that they, like the birds themselves, never seem to settle in space or time for very long. Vernacular names of a species can change from one century to the next, one region to another, even between adjacent valleys and several species can share the same name. It is with this admonition that we attempt to flush out the elusive gazzera marina. Consulting a modern Italian dictionary draws the eye to the similar sounding 'gazza marina' (alca torda), known in English as the razorbill. This sea bird inhabits coastal cliffs, but alas, as a close relative of the penguin, it dons only black and white formal attire. Digging deeper we find poet Gabriele d'Annunzio, "At Dawn" carefully tracking the gazzera marina across a salty marsh, in his Halcyon. This time the poet himself throws us off the trail with his description, since no bird sports five digits but the chicken. Turning to etymology, we find another potential match in the magpie (pica pica); it is a credible but unconvincing fit with its blue and white plumage. 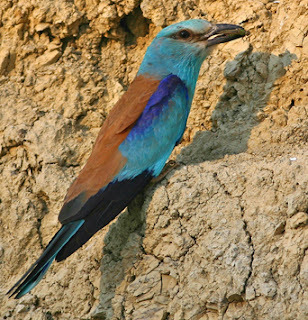 Combing the references of Neri's own sixteenth century, we find the best candidate is the roller (pica marina). 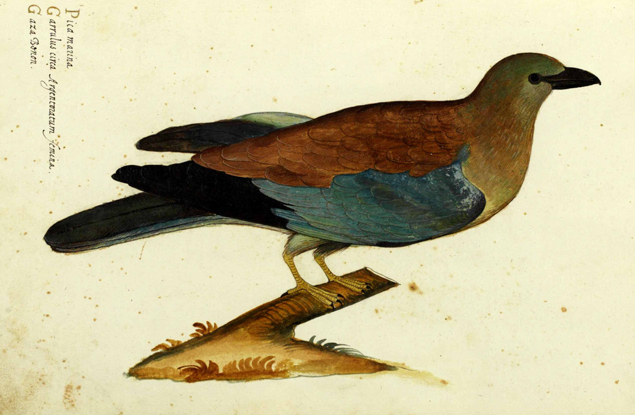 This bird was described by naturalist Ulisse Aldrovandi, a friend of Don Antonio de' Medici's father and guest at the Casino di San Marco. Other contemporary authors list the gazzera marina as a synonym to Aldrovandi's pica marina. Neri's Latin translator Frisius (1668) and his German translator Geissler (1678) agreed, both sighting the "Pica Marina" in their works. This post first appeared here on 13 Sept 2013.